Apple debuted iOS 11 during the June 5 keynote of its annual developer conference. 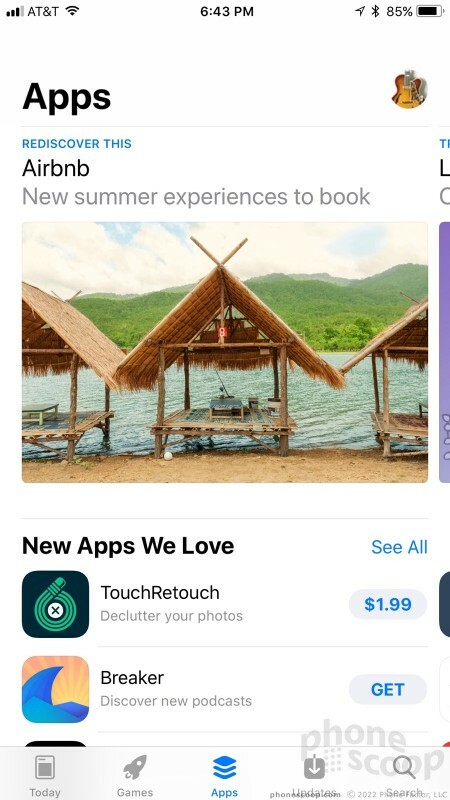 The refreshed mobile operating system is primed to hit iPhones and iPads later this year with improvements to the App Store, Apple Maps, the camera, Control Center, Files, keyboard, iMessage, Live Photos, Siri, screenshots, and much more. iOS 11 is only available to developers, but here is a first look at the initial beta from Apple. Developers can download and test an early version of iOS 11, but this first beta is not for the faint of heart. In order to access this initial developer beta you have to register as a developer with Apple. This requires a yearly fee and is not intended for regular people. Apple said it will kick off its iOS 11 public beta program later this month. Most anyone can enroll in the public beta program to receive early builds of iOS 11 before the general release. I'm going to warn you, iOS 11 in its current form is absolutely not for your everyday driver. 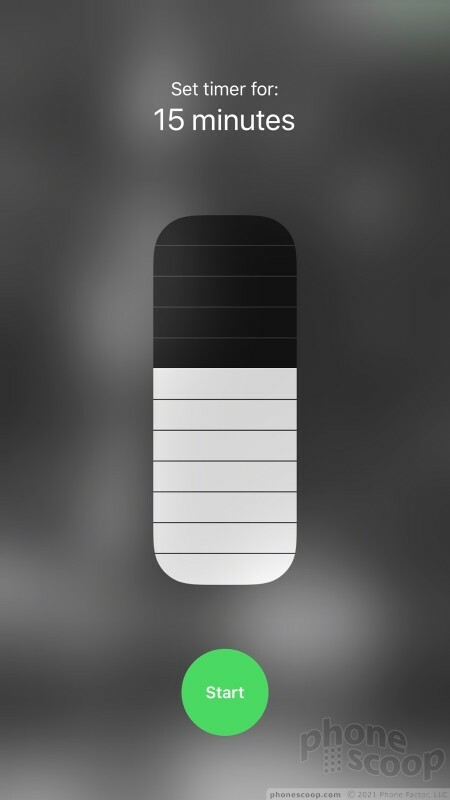 It's incredibly unstable and will destroy your iPhone's battery. Still, I was able to take a look at some of the newest features so I can offer you these first impressions of Apple's newest operating system. 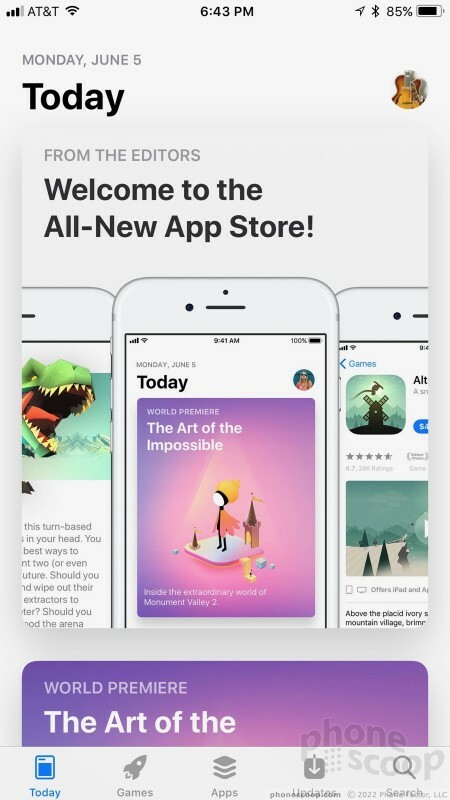 Whoa, the App Store is different. 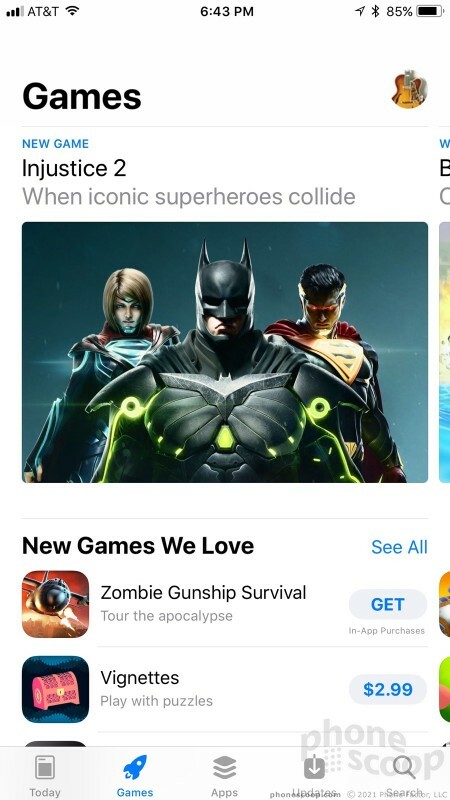 As promised by Apple, the App Store is completely new and fresh. 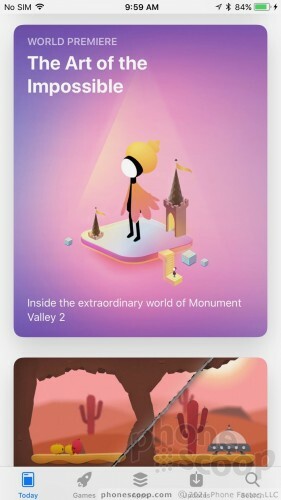 Rather than cram gobs of small app icons onto a messy canvas, the App Store now includes a series of informative cards that slide around and fall away as you browse. 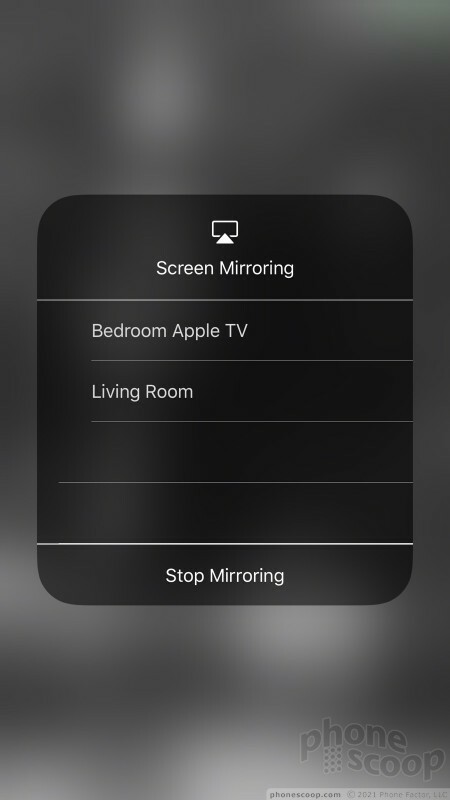 The result is immediate: you can see far less per screen, but each screen is chock full of more relevant information regarding each app and those apps that might be similar. 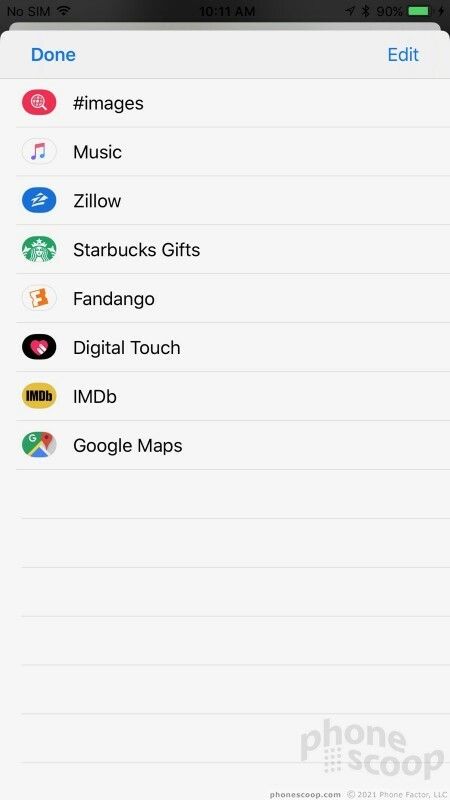 The Today tab is now the main point of entry and it highlights what's new and different in the App Store. 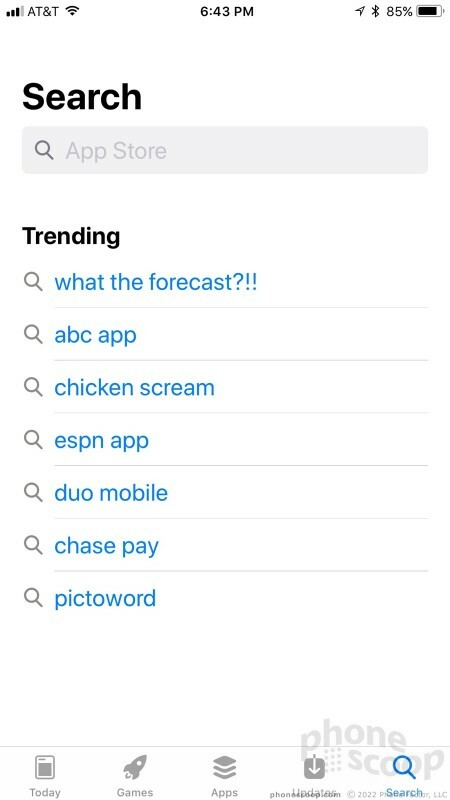 You'll see app suggestions, but also the game of the day, the app of the day, and even articles such as "how to use app X." 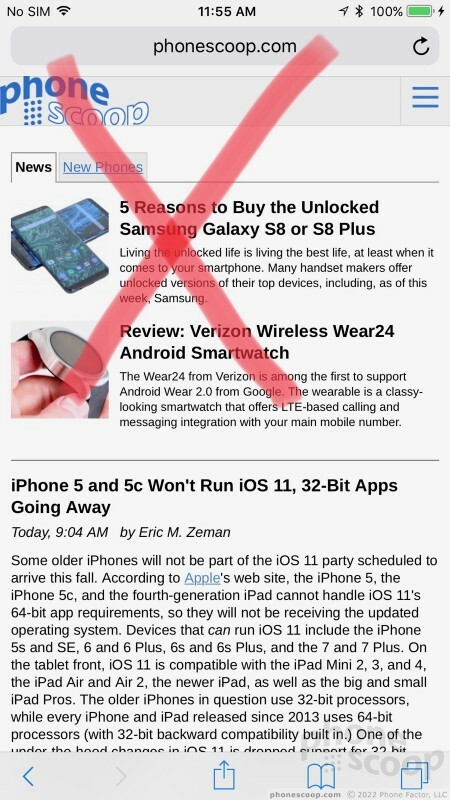 The Daily List shows you some of Apple's most-recommended apps, and suggestions based on what's happening. For example, the App Store recommended I check out some basketball-related apps since the NBA championship is playing out right now. Neat. Individual info cards for apps are much more rich with information such as reviews and in-app purchases. 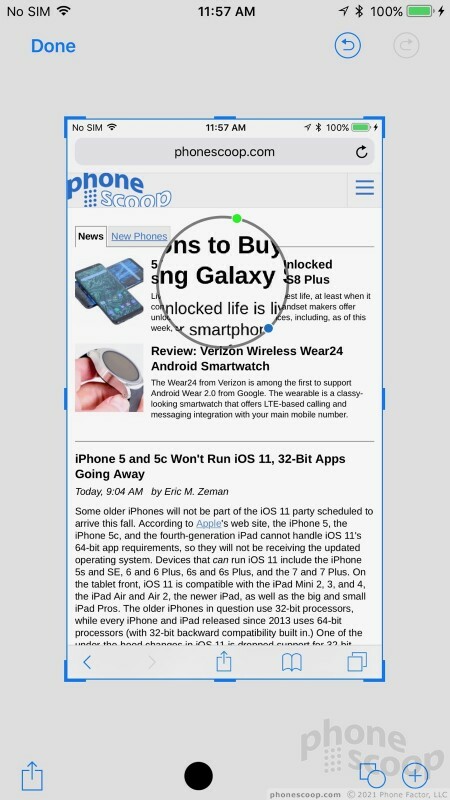 Apps and games get their own tabs with the spotlights, recommendation lists, categories, and other tools for browsing. As always, you can jump to the update or search tabs with a quick press on the bottom of the screen. The new App Store is a breath of fresh air. The camera has one obvious user-facing new feature: instant access to filters. While shooting, a quick swipe up reveals a handful of filters lined up in a strip (normal, vintage, warm, cool, mono, etc.) 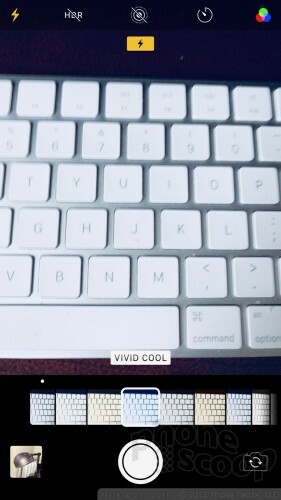 Drag your finger to the filter you want to use and see a real-time view before snapping the photos. You can use the filters when shooting photos, portraits, or square images, but not when recording video or panoramas (at least not yet). I was not happy when Apple split the Control Center tool into two screens in iOS 10. It was a needless tweak to clean up the design that led to more work on the part of end users. 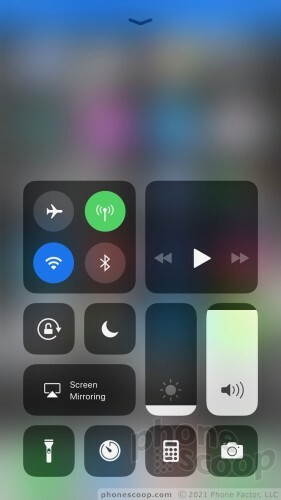 The new Control Center in iOS 11 is now on a single page, but it's really busy and I'm not sold on its usability. 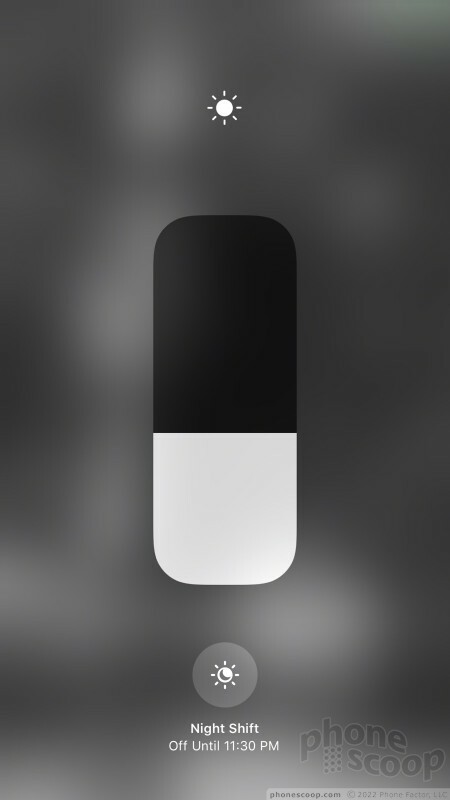 Control Center is composed of different-sized squares and rectangles that float in a big jumble. 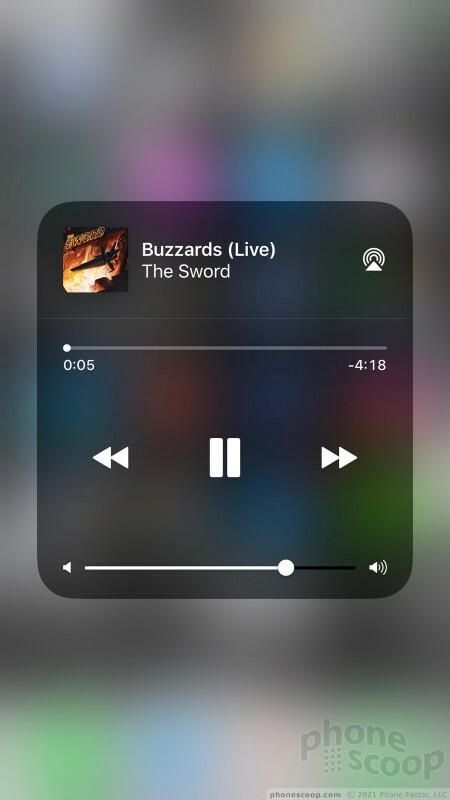 Apple says the Control Center can be customized so the actual controls for brightness, volume, music playback, and such are where you want them to be. 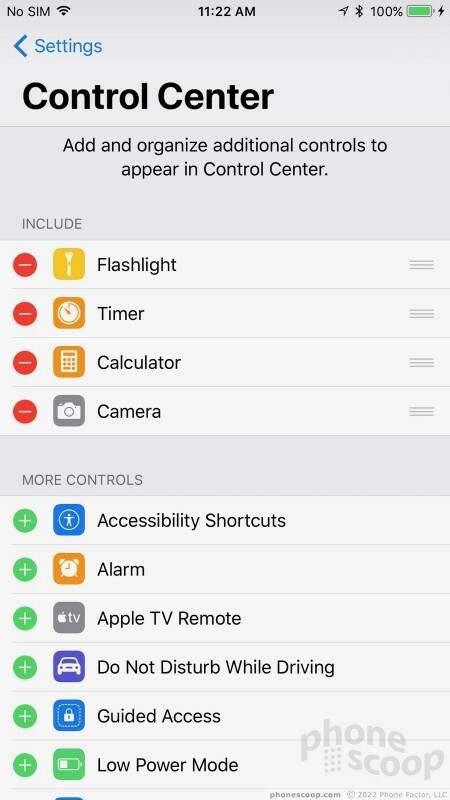 Rather than on the actual Control Center, these customization tools are hidden in the settings menu. 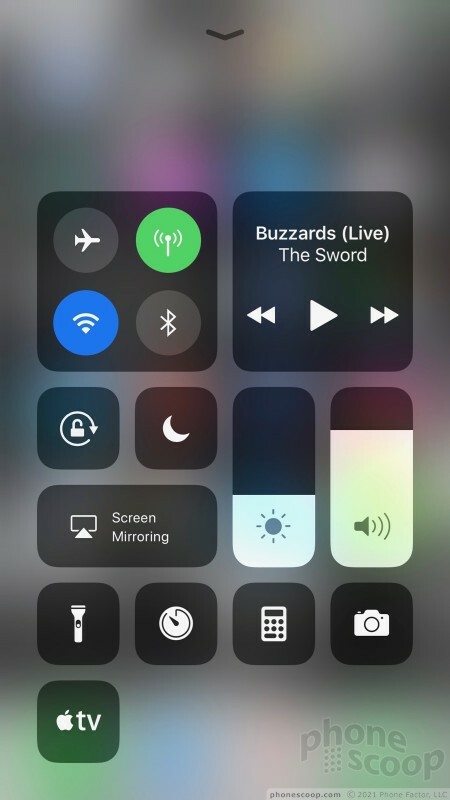 You can add a fair number of other apps to the Control Center, which is neat. I do like the new sliders for managing volume and brightness. 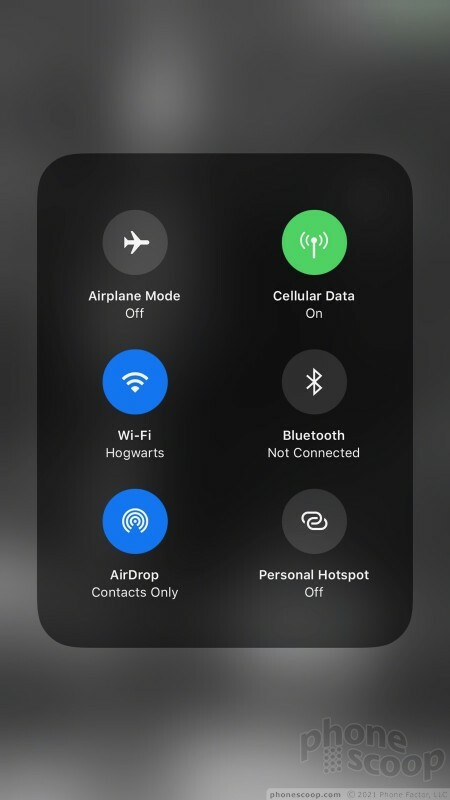 Using 3D Touch in Control Center activates larger versions of the icons, which makes them easier to use. This is clutch for music, Apple TV remote, and other tools. 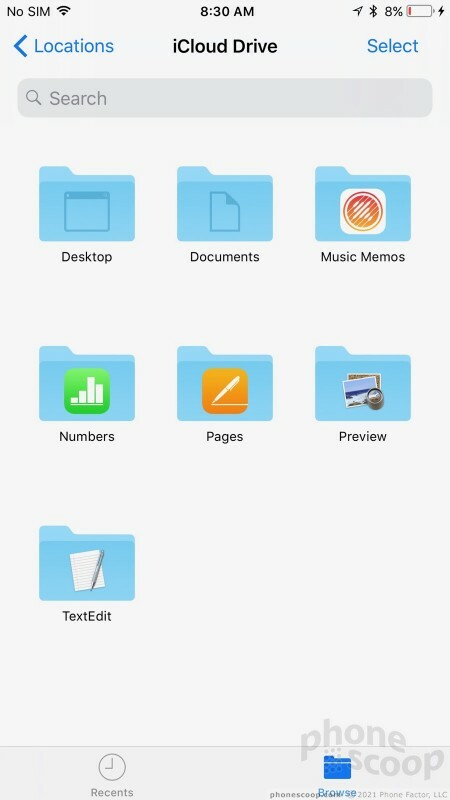 Bringing a File folder to iOS represents a huge change of mindset for Apple. The company has since Day One disambiguated files within iOS, choosing to hide them inside apps rather than a central file system. 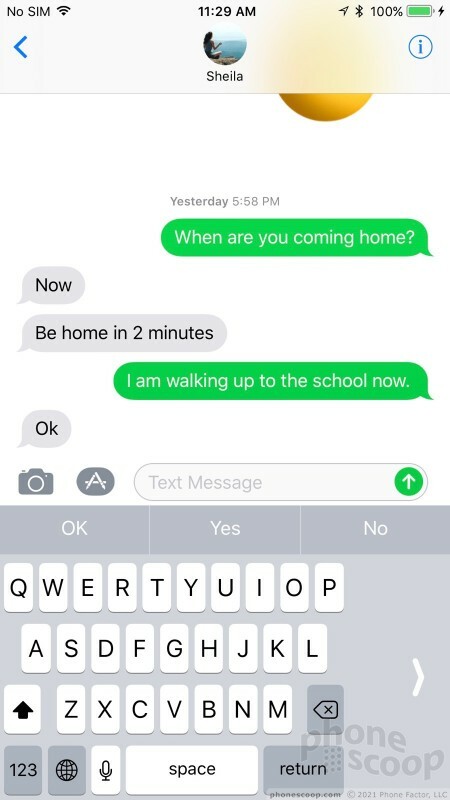 That changes with iOS 11. 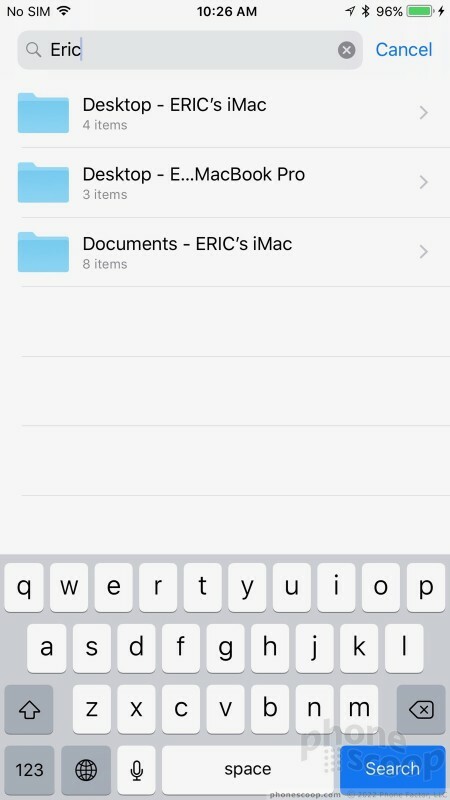 A new Files folder appears on your homescreen and it lets you search for just about any file that might be on your iPhone or iPad. 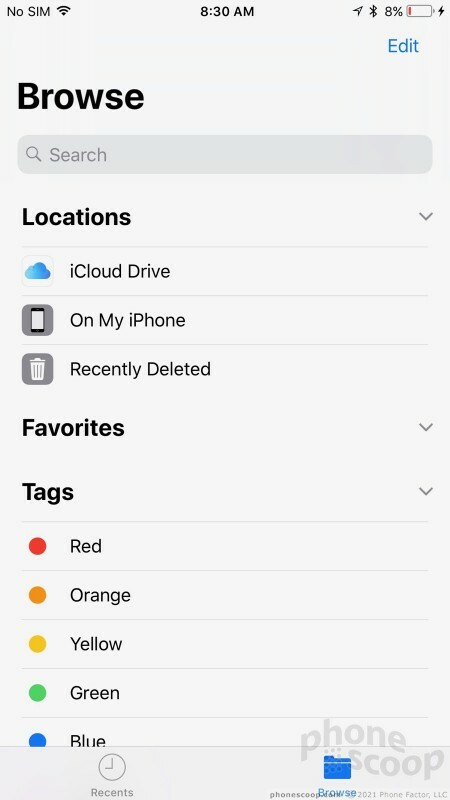 The app prioritizes a search bar, but you can also browse via sub-folders such as iCloud, On My iPhone, recently deleted, and even connected devices/shared documents such as those on your Mac or iPad. The tool includes tags, so you can organize files in a way that suits you. Search results can be parsed by name, file type, size, and date. This will be a boon to people to prefer file systems to organize and manage their documents and data. 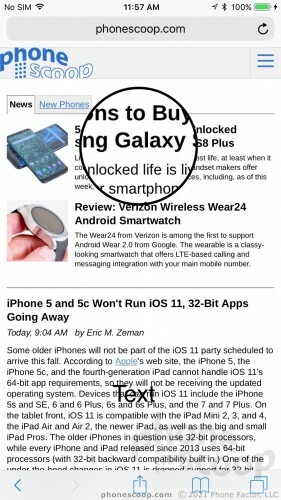 This is a feature that Android phones have offered for years, but at first glance Apple's is superior in every way. Android file management tools vary widely by manufacturer and are often clunky and painful to use. 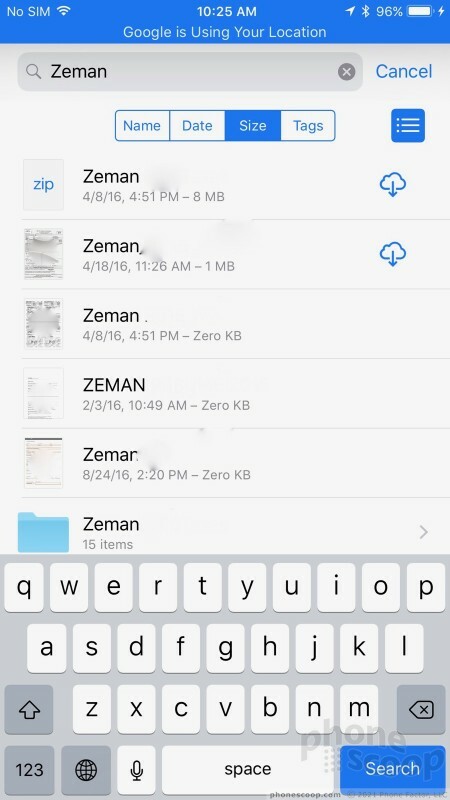 Apple's new Files tool is much simpler and more direct. It also looks a lot nicer. 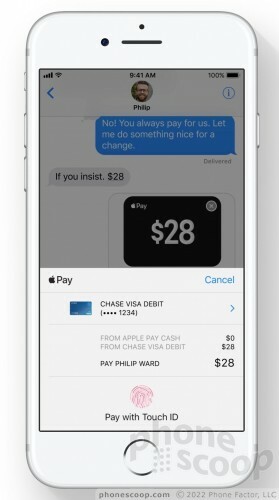 One of the first and biggest pieces of news shared by Apple's executives during the keynote was the addition of Apple Pay to iMessage. This is a masterstroke and will put the screws to competing person-to-person payment services such as Venmo and Facebook Messenger. In iOS 11, people will be able to use their existing Apple Pay account to send money to family, friends, and contacts. I could have used this on a recent outing with family wherein I didn't have enough cash to pay my part of the bill. It would have been easier to reimburse people immediately through Apple Pay than to divvy up the check among multiple credit cards. Apple says when people get paid, their money is stored in Apple Pay Cash and available to send to someone else or spend with Apple Pay in stores, apps, and on the web. Apple Pay Cash can also be transferred to the bank account of your choice. This feature isn't live in the iOS 11 beta yet, but we're very much looking forward to giving it a whirl. Last year's iOS 10 introduced applications that exist within iMessage. 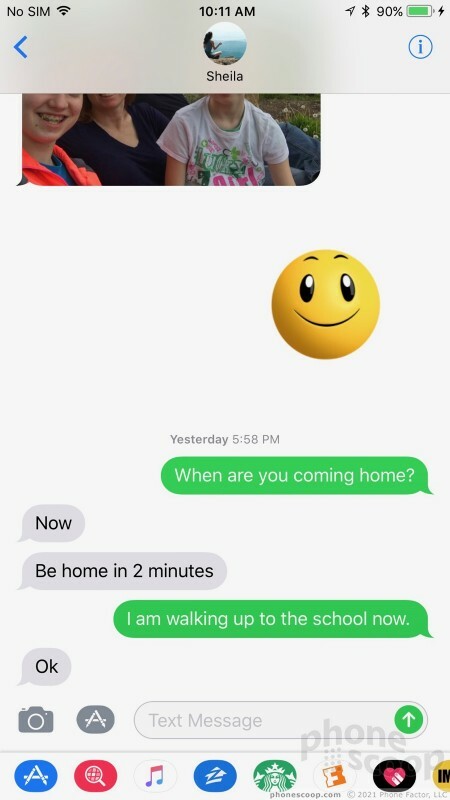 iMessage apps included fun ways to dress up your messages through sticker packs and emoji, but they also make it possible to insert weather forecasts, transit directions, concert tickets, and more directly into message threads. It worked, but was rather clunky. 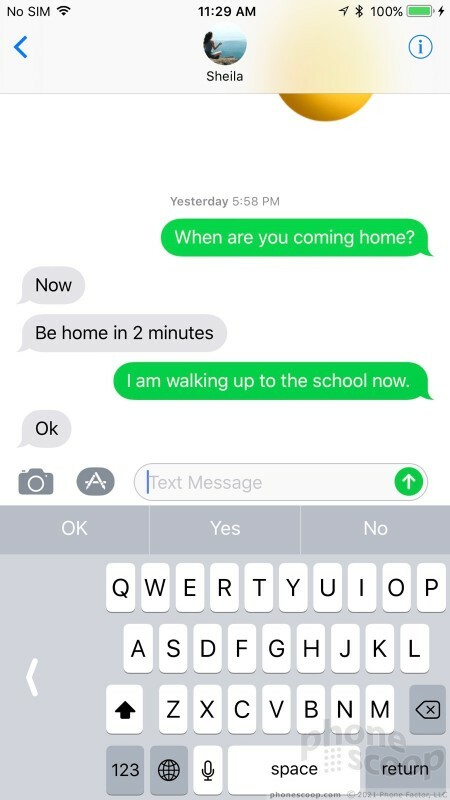 iOS 11 changes the iMessage App situation dramatically. 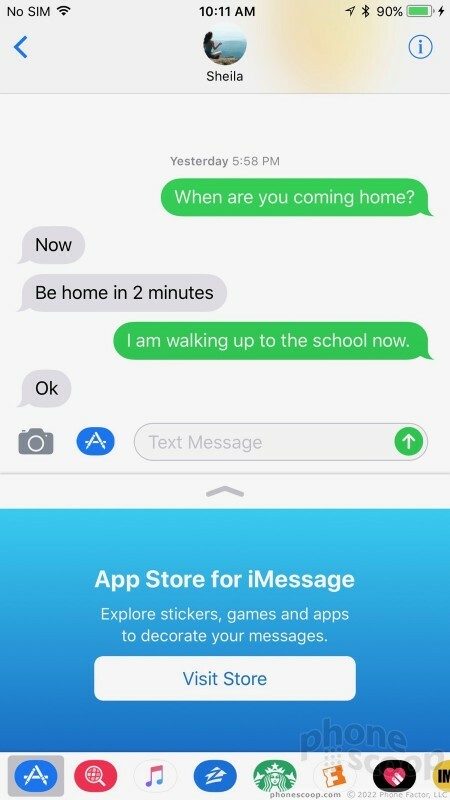 Now, your installed iMessage applications line the bottom of iMessage. 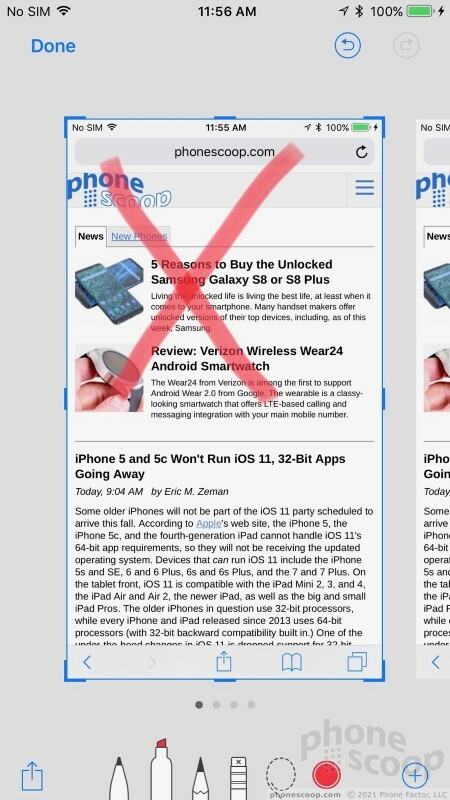 The purpose here is twofold: first, it reminds you that iMessage Apps even exist; and two, makes them easy to pick and use. 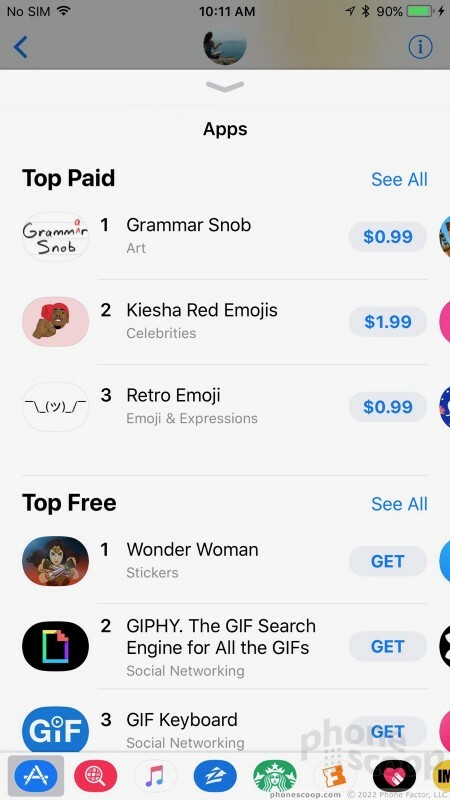 The iMessage App Store is listed at the bottom of the screen, too, so you can always browse for more iMessage Apps. iOS 11 finally makes it easier to type messages one-handed. 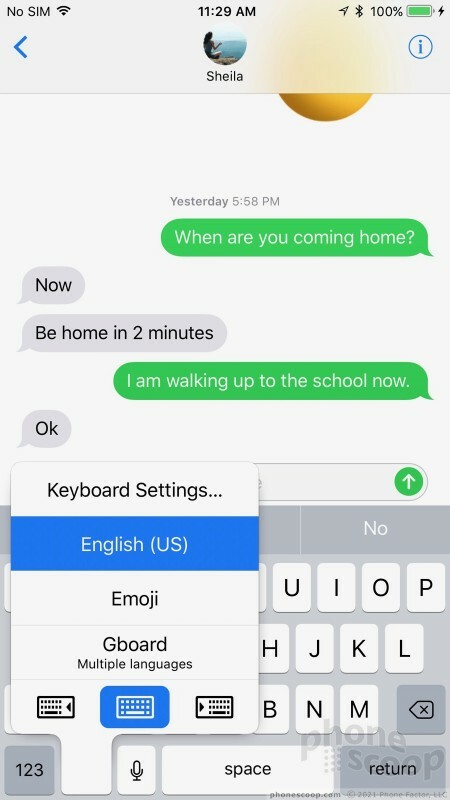 Long press the emoji key and a new tool pops up that lets you left- or right-adjust the entire keyboard so it is closer to your thumb. It works! Too bad Apple's keyboard still doesn't support gesture/trace typing. Live Photos are a neat, but flawed aspect of the iPhone camera. 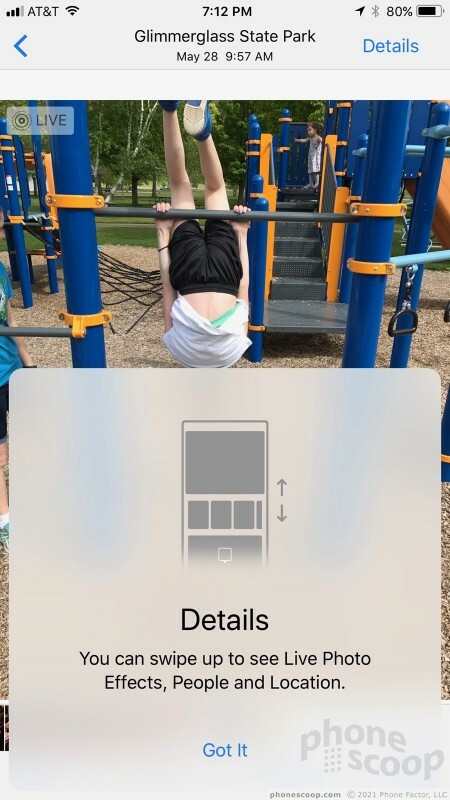 With Live Photos, the iPhone captures maybe 1 second of video ahead of when you press the shutter button. The result is an image with a small amount of movement. Standing on their own, I rather like Live Photos. 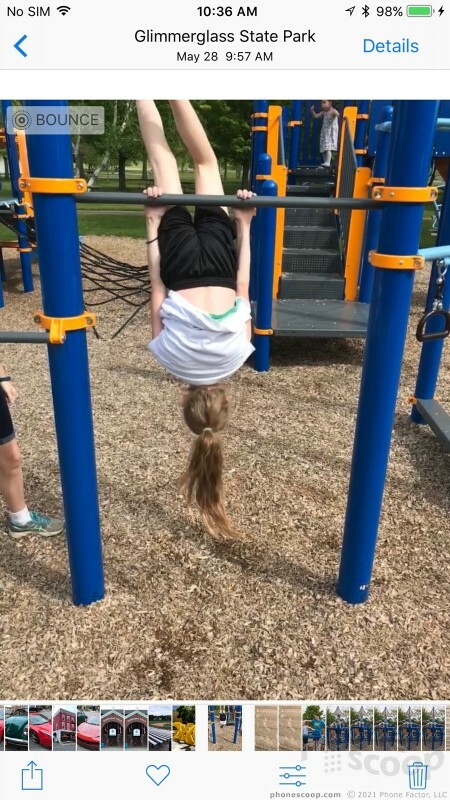 For example, they let me see the little dance my daughter does before she begins a cartwheel. The problem with Live Photos is that they aren't totally shareable. 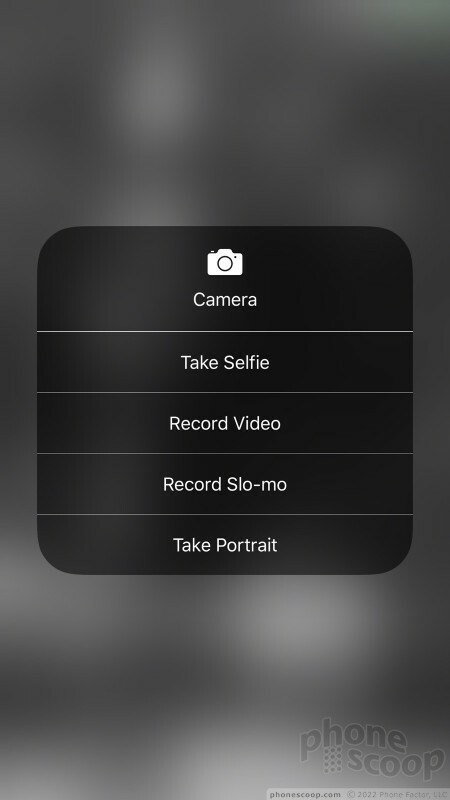 Sure, you can push them to other Apple devices, and even share them in Facebook, but Live Photos are nigh impossible to send to Android devices. 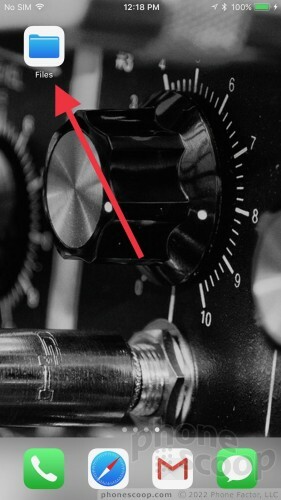 Google has filled in this gap with its own app called Motion Stills. iOS 11 doesn't appear to solve the sharing problem (yet), but it does let you apply new tweaks to your moving pictures. 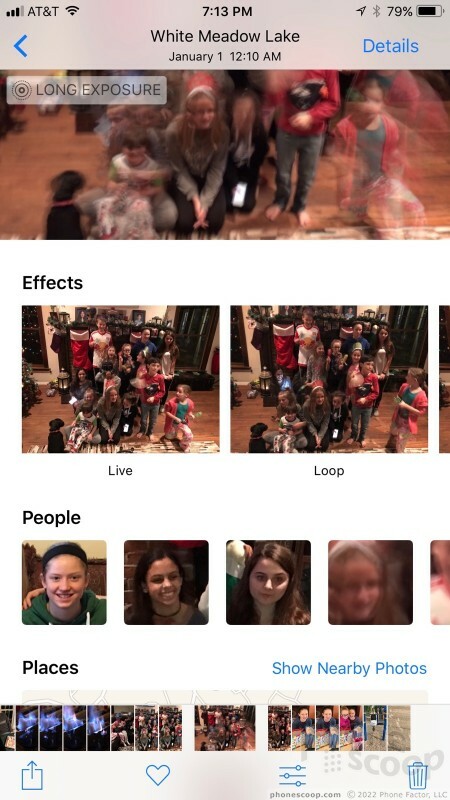 Live Photos can now take one of four different forms: the original Live Photo, loop, bounce, and long exposure. 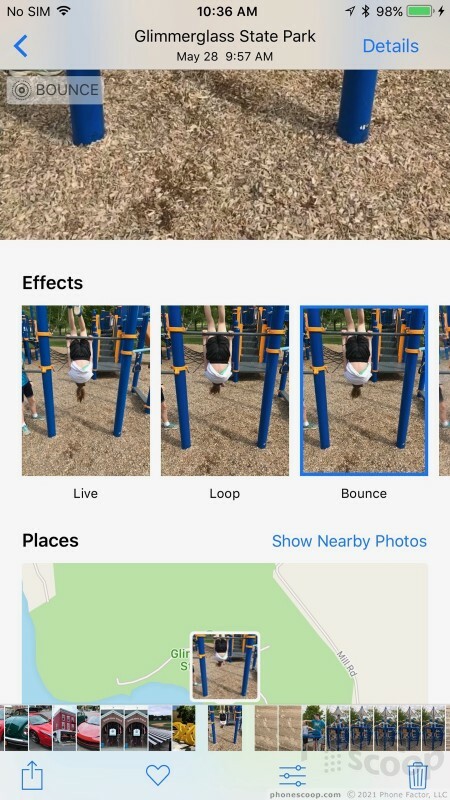 The loop tool sets the Live Photo to continuously repeat, while the bounce tool sets the Live Photo to run forwards and then backwards, bouncing back and forth. The long exposure tool takes the Live Photo's time value to give you a blurred image that paints the movement in broad brushstrokes. These are really neat, but you still can't share them with anyone other than iOS users. I tried to send the new Live Photos to Instagram, my Mac, and via text message and no bueno. 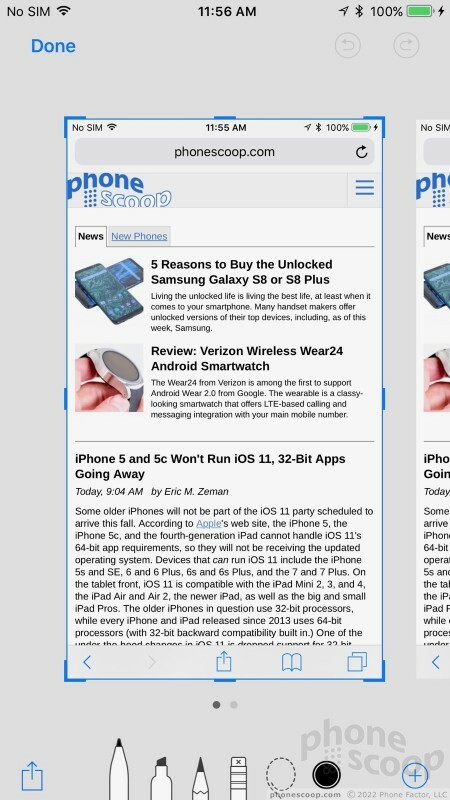 Taking a screenshot in iOS 11 works just the same as it does in iOS 10, but you can now do way more with your screenshots. 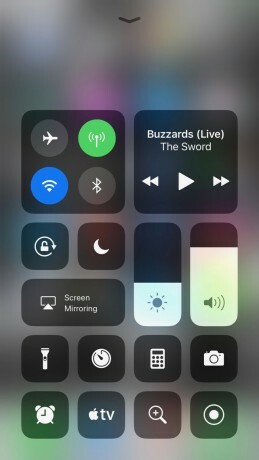 In every previous version of iOS, pressing the power and home buttons simultaneously snaps a shot and sends it to the camera roll. Now, this same action generates a small thumbnail of the shot in the lower left corner. Tap that thumbnail to open the new screenshot editor where you can perform all sorts of markups. Want to circle something important? Scrawl some text? Crop the image? You can do all that and more. The tool includes a variety of pen types, colors, shapes, arrows, signatures, magnifiers, and so on for marking up screenshots. This is a long overdue feature that companies such as LG have offered for years. It's nice to see Apple finally catch up — and deliver an easy-to-decipher app at that. 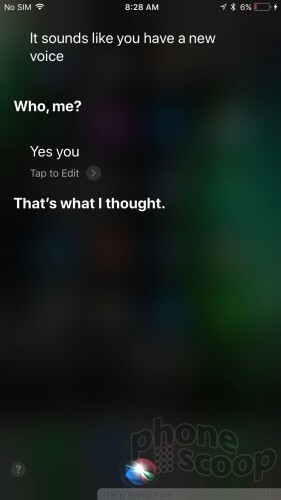 Siri has a new voice. Apple didn't provide any details into the why behind Siri's new vocal cords, but she/he has a new tone of voice all the same. There are male and female versions for Siri and each is decidedly different from the original voice of Siri. 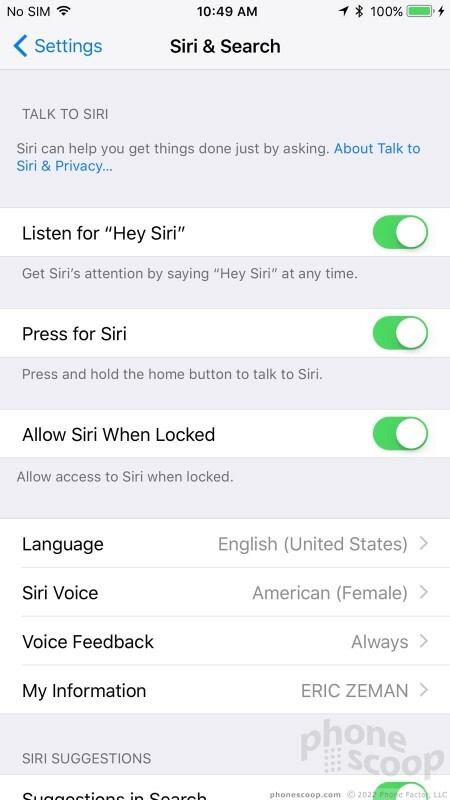 The new Siri sounds more natural and more computerized at the same time. Sentences flow more smoothly from Siri and aren't as haltingly robotic, but there's some vocal processing going on that clearly marks Siri as a computerized voice. Apple says it used machine learning to create Siri's new voice. I'm sure some people will like it and some won't. I think I liked the tone of the old Siri better (don't we all lover Siri? ), but there's no question the new Siri sounds more like a person speaking. 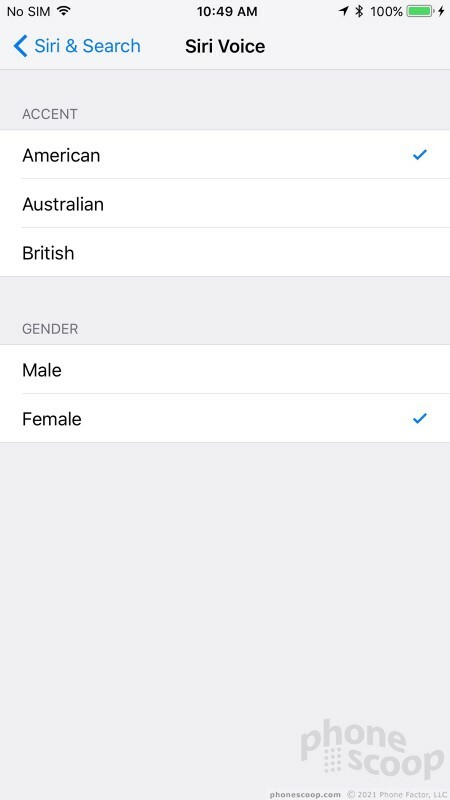 You can still select between American, English, and Australian accents, and from many, many other languages. Siri has more than just a new voice. 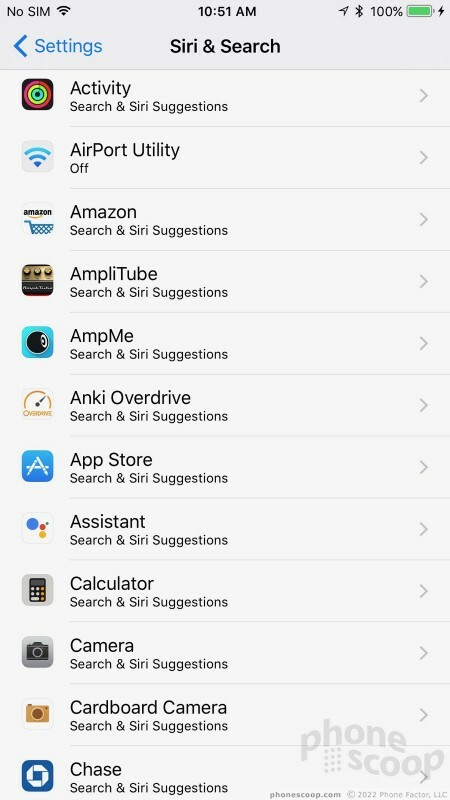 Siri now provides iPhone and iPad owners with granular control over which apps Siri is allowed to use. That's a huge improvement as far as privacy is concerned. 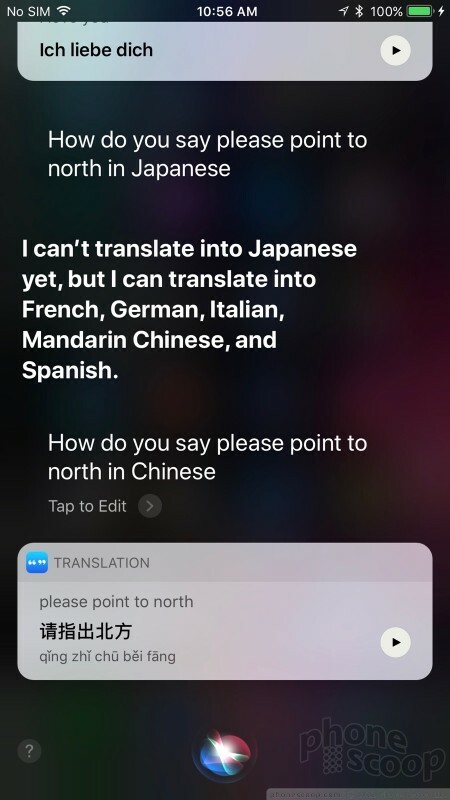 Siri can act as your instant translator. 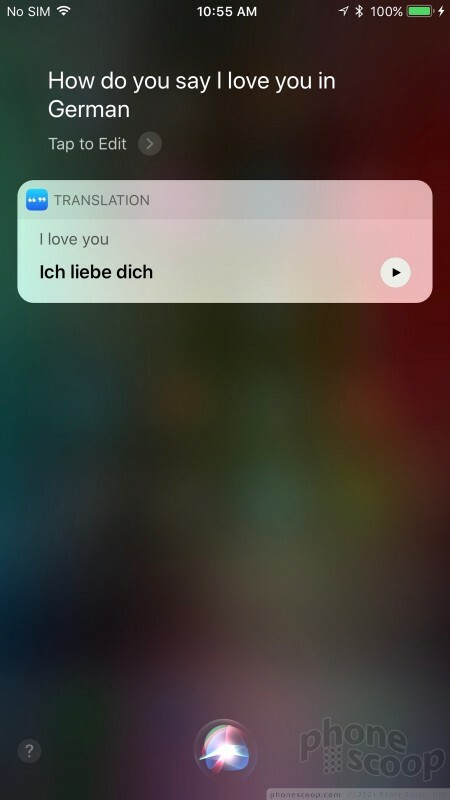 Say something like, "Hey Siri, how do you say 'I love you' in German?" and Siri will perform the translation, complete with pronunciation, immediately. Only a few languages are supported at launch (English to German, French, Spanish, Chinese, and Italian), but Apple will add more languages over time. I love that there's a little tool to replay the pronunciation. This lets you hold the phone up so a native speaker can hear the phrase or allow you to learn and repeat it yourself. It works really well for a beta service. Apple has more tricks up Siri's sleeve. Thanks to machine learning, Siri can learn which topics you want to read in Apple News, suggest the names of movies or places when you're typing messages to friends, and even suggest searches in Safari based on what you were just reading. I didn't really see any of these in action, so it's possible they're still in the works and will appear in subsequent betas. 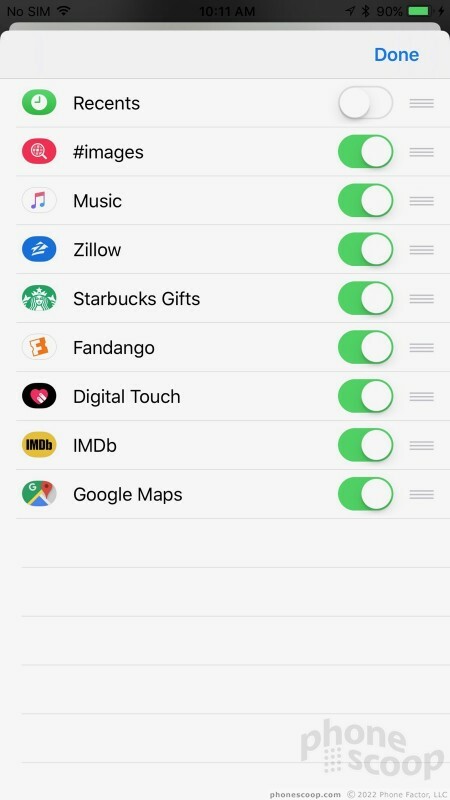 There are lots more changes headed to iOS 11, targeting Apple Music, better control via AirPlay2, indoor maps, and Do Not Disturb while driving. These features aren't yet available for testing. More importantly, iOS 11 tackles the iPad in a huge way. We plan to fully evaluate iOS 11 when Apple releases the final version in September. PayPal today announced that it has added support for Apple accounts. The change means people who use the iPhone, iPad, Apple Watch, and other Apple devices will be able to make purchases from the App Store, Apple Music, iTunes, and iBooks using their PayPal account.